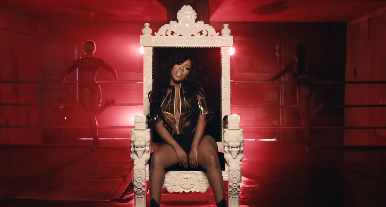 K. Michelle: My Life. Much like you would expect, K turns up at times throughout the show when she feels somebody has wronged her (we enjoy the no fucks given entertainment); but as a follow-up to her “Maybe I Should Call” released yesterday, she slows things down for an intimate affair in “Love ‘Em All.” After you enjoy the galore of eye candy from the Memphis 10-a-KEY songstress above, look for the release of her sophomore effort AWBAH (Anybody Wanna Buy a Heart? ), set to arrive this December 9th.